The definitive design magazine, Architectural Digest takes you inside the world's most beautiful homes. With stunning photography and the best writers, it is the premier interior design magazine, featuring classic and contemporary styles. Your subscription includes the annual special issues: Before & After and Designers Own Homes. Essential to the profession for more than 110 years, Architectural Record provides a compelling editorial mix of design ideas and trends, building science, business and professional strategies, exploration of key issues, new products and computer-aided practice. Monthly. Dwell is the first and only magazine to explore both the interiors and the exteriors of modern home design in a stylish, yet accessible way. Written for young, intelligent consumers, dwell helps people shape their own living spaces in ways that express beauty, simplicity, comfort, and new sense of openness. The architecture of Frank Lloyd Wright's Prairie style houses have always fascinated me. The long, low look, the dramatic spaces, and the attention to detail really make them jump out at me. Several years ago, my wife and I spend a long weekend in Oak Park, Illinois. That Chicago suburb is where Frank Lloyd Wright (1867–1959) had many of his prairie style house designs built, as well as his own home and studio. There is a great visitor's center there that provided us with maps and lots of information. We really enjoyed the tour of his home and studio. My favorite feature was the octagonal home office with wraparound seating and bookcases. We were also able to walk and drive around to see dozens of other houses by Frank Lloyd Wright or in similar style. The Robie House was closed when we were there, but we got to walk around the exterior. It really is a totally different experience from reading about it or seeing pictures of it. If you have any interest in prairie style architecture, I strongly recommend visiting Oak Park and Chicago. Although there can be no doubt that he was a great architect, he was very arrogant and often ignored the advice of engineers. That led to long-term structural problems with many of his buildings. Some of that was due to his use of what were cutting-edge techniques and building technologies at the time. The best practices for their use had not yet been determined. For example, Wright was a pioneer in the use of large amounts of concrete long before it was known that rebar or mesh was needed to strengthen concrete. As a consequence, many of the walls and terraces he designed crumbled over time. In some cases, he simply didn't design structures with sufficient support, using too few or too small beams, causing his buildings to "settle" far more than the should have. Sometimes he would make changes to the functional or aesthetic parts of a design without making adjustments to the structural design needed to accomodate them. His houses are also notorious for leaky roofs. Fiberglass insulation and double pane windows didn't come along until much later, so his houses also tended to be somewhat drafty. Context is important; his most famous houses were created before electricity was commonly available in residences. Wright designed all of the landscaping and the furniture for his houses, which often took cues from the existing landscape for their designs. Some of the furniture designs were quite inventive, with features such as built-in lighting and having parts that could fold or swivel out of the way when not needed. He is credited with designing one of the first reclining chairs. Unfortunately, his designs did not acknowledge that people have spines that curve;	his chairs tended to have completely straight backs with no cushions and must have been terribly uncomfortable. I put together a set of web pages to celebrate Frank Lloyd Wright's stained glass works, which are also a long-time favorite of mine. I also have a page about Fallingwater, his incredible house in a waterfall in Western Pennsylvania and a set of pages about the Westcott House, the only Frank Lloyd Wright Prairie style house in Ohio. I also provide links to sites far more authoritative than mine could ever be, as well as relevant books and other related items. I hope you enjoy looking around. 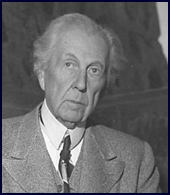 The following are links to general interest materials about Frank Lloyd Wright. For information specific to Prairie Style architecture, please check here. 384 page hardcover. Horan's ambitious first novel is a fictionalization of the life of Mamah Borthwick Cheney, best known as the woman who wrecked Frank Lloyd Wright's first marriage. Despite the title, this is not a romance, but a portrayal of an independent, educated woman at odds with the restrictions of the early 20th century. Frank and Mamah, both married and with children, met when Mamah's husband, Edwin, commissioned Frank to design a house. Their affair became the stuff of headlines when they left their families to live and travel together. They eventually settled in Wisconsin, where they were hounded by a scandal-hungry press, with tragic repercussions. Horan puts considerable effort into recreating Frank's vibrant, overwhelming personality, but her primary interest is in Mamah, who pursued her intellectual interests and love for Frank at great personal cost. 230 page hardcover. 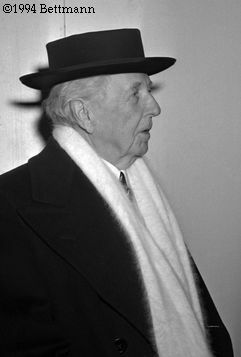 The most pivotal and yet least understood event of Frank Lloyd Wright's celebrated life involves the brutal murders in 1914 of seven adults and children dear to the architect and the destruction by fire of Taliesin, his landmark residence near Spring Green, Wisconsin. In response to the scandal generated by his open affair with the proto-feminist and free love advocate Mamah Borthwick Cheney, Wright had begun to build Taliesin as a refuge for himself and his mistress (both married at the time to others). The original Taliesin would last for only a few months before the bloody slayings that rocked the nation and reduced the structure itself to a smoking hull. 652 page paperback. In this superb, subtle, demythologizing biography of Wright (1869-1959), we meet a shrewd yet gullible architect who fostered a view of himself as a misunderstood, embattled genius, a narcissist who unconsciously courted catastrophe while blaming the vengeful hand of fate as he overcame accidents, bankruptcy, lawsuits and hounding by his morphine-addicted second wife. Drawing on a trove of letters, Secrest (Salvador Dali) traces Wright's "secret conviction of worthlessness" to the contradictory influences of his freethinking, erratic Welsh mother and his jealous, spendthrift father, a New England minister. She discusses the dynamics of the architect's three marriages, recounts his clashes with Louis Sullivan and Lewis Mumford, and digs beneath his "quasi-mystical Celtic beliefs" to pinpoint the multiple influences on his fervent quest for an organic architecture. 456 page paperback. A complete biography based on a wide range of previously untapped primary sources, covering Wright's private life, architecture, and role in American society, culture, and politics. Views Wright's buildings as biographical as well as social statements, analyzing his work by type, category, and individual structure. Examines Wright's struggle to develop a new artistic statement, his dramatic personal life, and his political and economic ideas, including those on cities, energy conservation, cooperative home building, and environmental preservation. Includes over 150 illustrations (photographs, floor plans, and drawings—many never before published), extensive footnotes, and the most exhaustive bibliography of Wright's published work available. 544 page paperback. Much has been written about America's best-known architect, and this new biography may be the most perceptive and entertaining book of the lot. Gill writes with authority about Wright's long and turbulent career and with empathy about his equally turbulent private life. Gill's long friendship with the Wright family provides added insights into the architect's complex personality but does not prevent him from debunking some of the legends surrounding Wright, his upbringing and education, his architectural and social theories, and his relationships with clients. Witty, irreverent, and refreshingly honest, this is essential reading for anyone interested in architecure. 561 page hardcover. In a volume that continues to resonate more than seventy years after its initial publication, this contains the Wright's own account of his work, his philosophy, and his personal life, written with his signature wit and charm. In 1932, the first edition of the Autobiography was published. It became a form of advertising, leading many readers to seek out the master architect—thirty apprentices came to live and learn at Taliesin, Wright's Wisconsin home/school/studio, under the master's tutelage. DVD. Ken Burns has achieved his style with his historical presentations: the photographs and old films; the music; the narrations and commentaries, etc. But in this particular film they all come together and gel in a remarkable way—probably due to the subject matter of Wright himself. Wright himself said that he recognized Beethoven as a master architect as revealed in his musical architechonics: in this film, Burns coordinates mostly Beethoven's music with visions of Wright's buildings: a masterful and moving audiovisual combination. Wright was a very remarkable man of genius. If he had been born in England or Germany, for example, he probably would have had a more successful career than he did, for here he was persecuted like Oscar Wilde for his aberant sexuality. This bogus-Puritanical hypocrisy hindered his career, and he was therefore unable to produce as much work as he could have otherwise. 447 page paperback. Virtually every structure that Wright built is represented in this extensive survey of his life's work. His genius at architectural design enable him to work out extremely complex buildings in his head and translate them on to paper in a matter of hours, as the famous story of his design presentation of Falling Water illustrates. His work continues to draw great admiration and interest to this day. His often tempestuous and sometimes tragic life and career are given full coverage in this book. Hundreds of photos, both archival and recent chart his amazing work and influence on all who followed. Since he opened his first office in Chicago in 1893, Wright held on to drawings, sketches, notes, photographs, manuscripts, and correspondence. Many of those artifacts survive today in his official archive at Taliesin West in Arizona. Produced in conjunction with the Frank Lloyd Wright Foundation, this extraordinary book offers a fresh presentation of the documents of one of the world's most famous architects. It is, in effect, a museum in a book. This hardcover collection includes 100 illustrations and 25 interactive, three-dimensional features, removable facsimiles of original documents, never-before-published architectural sketches, and a 17-track audio CD containing excerpts from Wright's weekly addresses at his architectural compound, as well as television interviews. Among the many books available on Frank Lloyd Wright, William Allin Storrer's classic—now fully revised and updated—remains the only authoritative guide to all of Wright's built work. This 593 page edition provides information on Frank Lloyd Wright buildings discovered since the first edition. It features full-color photographs to highlight those buildings that remain essentially as they were first built. To facilitate its use as a convenient field guide, this durable flexibound edition gives full addresses w ith each entry, as well as GPS coordinates, and offers maps giving the shortest route to each building. This book is an edited version of The Frank Lloyd Wright Companion by the same author. This book lacks the floor plans and some of the text, but adds color pictures. Covering the almost 80-year career from his Unity Chapel in Wisconsin in 1886 to the Lykes house built in Phoenix in 1966, seven years after his death, this 2006 edition contains floorplans and textual desciptions for all Frank Lloyd Wright-designed structures actually built. It includes black-and-white pictures for almost all of them, except for a small handful which have been demolished and for which no pictures exist. The clear, readable floorplans which are given for every structure is possibly the biggest selling point of this book. 150 page hardcover. The endlessly creative mind of FLW took two wildly different locales and managed to create important landmarks of twentieth-century architecture in both Spring Green, Wisconsin, and Scottsdale, Arizona. Following a historical glimpse into Wright's origins, this beautiful volume traces the multiple purposes of Taliesin and Taliesin West. The book closes with a unique look at Wright's collect of Asian art, an important influence on his life and work. A definite treat for Wright fans, the book helps show why these two vastly different architectural gems stand as "his autobiography in wood and stone." 128 page hardcover. This gorgeous volume celebrates the great houses designed by Frank Lloyd Wright, the world's noted and America's most popular architect. An illustrated introduction provides an overview of design principles and Wright's ideas behind the modern home and is followed by sections on Early Houses, Prairie Houses, 1920's and 1930's Houses, and Usonian Houses. Elegant full-color photographs and an authoritative yet accessible text profile fifty of the best-loved signature homes that the architect created. Written by award-winning author, Diane Maddex, this lush companion to its hugely successful predecessors, Fifty Favorite Rooms by Frank Lloyd Wright and Fifty Favorite Furnishings by Frank Lloyd Wright, offers an approachable look at the architect's definitive decorative style. This comprehensive tour of the three homes Wright designed and built for himself provides a unique look at the life and work of America's best-loved architect. Although it shows Fallingwater on the cover, this 45 minute documentary focuses on the three homes that Frank Lloyd Wright built for himself and his families (purposely plural). Freed from the wishes and demands of any client, they are the purest expressions of the talents and theories of the greatest architect of the 20th century. America's Castles follows the evolution of Wright's style from the balanced simplicity of Oak Park (1891) to the destruction of the traditional boundaries between inside and outside space of Taliesin West (1937). Go inside Taliesin (1911) in Spring Green Wisconsin—off limits to the public—to see what many scholars feel is the most beautiful of all Wright\'s domestic designs. If you've ever wanted to step inside a house designed by Frank Lloyd Wright or if you've ever dreamed of living in one The Wright Style offers the next best thing: an extraordinary look inside dozens of Wright's incomparable houses, all of them filled with countless inspiring ideas from America's favorite architect. This book features the special relationship Wright had with House Beautiful magazine, a relationship that spanned six decades. In 1897, the year the magazine began, Wright developed his own concept of "The House Beautiful," in a limited edition masterpiece that detailed his theories of the ideal home. More than a century later, this book presents his concepts, alongside stunning photographs depicting the evolution of Wright's "organic architecture" style, including the Prairie style of the early 1900s, the California textile-block houses of the 1920s, his one-of-a-kind expressive designs (such as Fallingwater), and the simple Usonian houses of the 1940s and 1950s—all of which exemplified the Wrightian principles of unity, simplicity, and respect for nature. Also included are suggestions for bringing his ideas into every home, and a catalog of reproductions of Wright items available for purchase. America's most famous architect was obsessed with small houses. Even though this exciting aspect of his work has been long overlooked, the truth is that Frank Lloyd Wright spent most of his career addressing the problems of houses intended for individuals or small families of modest means. In the only book on the master architect to focus on "the house of moderate cost," Wright expert Diane Maddex takes the reader inside a selection of his small houses from across the country, turning the spotlight on Wright's ingenious solutions to make these homes look and feel large. 160 page hardcover. 144 page hardcover. Renowned for the innovatively styled facades of the buildings he designed, master architect Frank Lloyd Wright was also famous for creating many of their interior details. The first book to feature these elements in an expansive, photographic format, this elegant survey offers a comprehensive look at each of the 24 California homes and public buildings designed by Wright over a 60-year period—including the celebrated Barnsdall and Sturges residences and the Marin County Civic center—down to individual decorative details, such as furniture, lighting, and draperies. Complete with an introduction by Wright's grandson, Eric Lloyd Wright; 175 full-color photographs; and a thoughtful, concise text, this outstanding volume will make an important addition to the architecture and design bookshelf. From 1917 to 1924 Frank Lloyd Wright created a small number of buildings in California that remain classics of American architecture. Using a groundbreaking process, they were constructed with precast concrete blocks, molded with decoration, and inset with glass so light filtered through in interesting patterns. Visit some of Wright’s most distinctive textile block structures, including the famous Hollyhock House; the Ennis, Millard, Freeman, and Storer homes; the controversial Arizona Biltmore Hotel, and others. Rich illustrations and an insightful text in this 96 page hardcover book showcase an American original at his creative best. Landscape architecture professor Charles Aguar (Univ. of Georgia) and wife Berdeana find a fresh perspective by examining Frank Lloyd Wright's work through the eyes of environmentally conscious landscape designers. Backed by a decade of fieldwork, interviews, and archival sleuthing, the authors offer highly informed critiques of 85 designs that span Wright's 70-year career. Familiar buildings are seen in an entirely new light as the authors scrutinize each structure's interrelationship with its grounds, plantings, and "hardscape" the terraces, walls, and planters Wright used to anchor his buildings to their settings. They emphasize Wright's prescient advocacy of sound environmental planning. All contents Copyright © 1997 - 2011 Mark Freeman with all rights reserved, and neither the whole nor any element may be redistributed or published elsewhere without prior written authorization. Direct links to images on this site are prohibited, although links to the pages are encouraged. "Frank Lloyd Wright"® is a registered trademark of the Frank Lloyd Wright Foundation. "Fallingwater"® is a protected trademark owned by the Western Pennsylvania Conservancy.